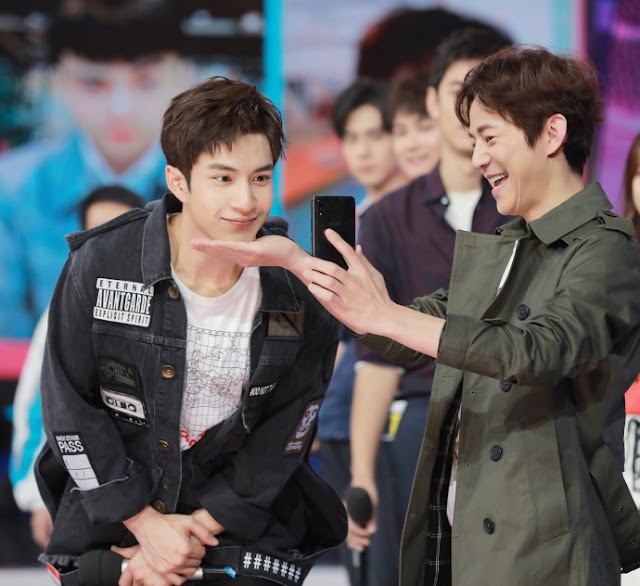 New boys of F4 are joining in on the trend of holding face to kill 捧脸杀 (that's google translate for you), which is basically like putting your head on a chopping board except the chopping board is usually somebody else's hand. Contrary to its name, it is not at all violent in nature and is usually done for fun. What it's really imitating is every drama scene where the guy sweetly cups the girl's face in his hands (or vice versa). Out of the four, I like Caesar Wu's the best. Haha! It has style and it was funny. Darren Chen's is also cute and adorable. I can see why he was chosen to play Hua Ze Lei. Connor Leong's shy attempt was also nice. Dylan Wang's a bit too cocky for me, to be honest, which actually makes him the perfect Dao Ming Si. The F4 are just the latest to join the trend as stars like Dilraba Dilmurat, Yang Yang and Jackson Wang have their own versions of this going around online. 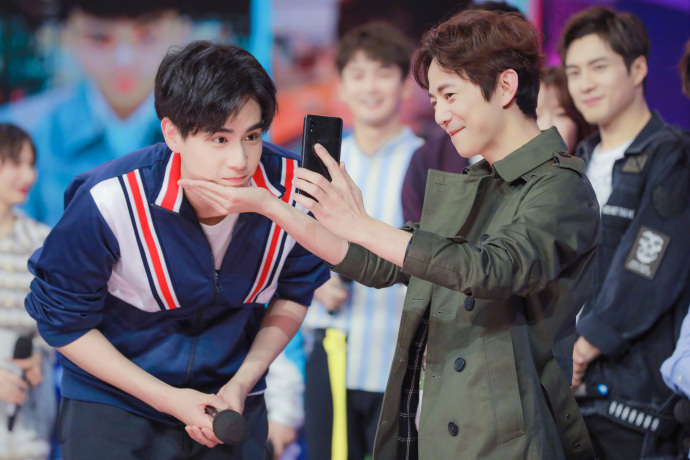 The folks on Happy Camp did a segment on it too, along with Siege in Fog stars Sun Yi and Elvis Han as well as Hu Yitian who appeared as guests on the show. Thanks for posting! I usually like these Chinese social media memes but I guess this is just one of those ones I don't get. I do like seeing the different imaginative ways stars film this. That's so cute! I love Caesar Wu's edition. So classy!